In 2009 Noah gave up on traditional IT models and started Altispeed Technologies. Since 2009 Altispeed has leveraged open source technologies to provide creative cost saving solutions without sacrificing quality. As a former host of the Linux Action Show Noah couldn't let his passion wind down with the show so teamed up with Jupiter Broadcasting to bring you Ask Noah! Noah J. Chelliah has hosted 124 Episodes. Chris Fisher joins us this episode, live from New York City! We take your questions live about business & tech. In this episode founder of Sandbagger news Will Beaton joins us, plus Eric from the telegram group shares how he started his business entirely on Linux, all that & more including your calls from Russia! In this episode legendary home theater & stereo expert Bob Carver joins us on the air to talk about how to pick the perfect home theater & stereo speakers. Brandon Johnson from RedHat tells us how to tweak your libvirtd setup. Plus we take your calls. This week we detail exactly what you need to put a movie theater in your basement powered by Linux & open source. Plus your calls! In this episode we go back in time for some tech that is still pretty cool for being so old. Plus your written questions & your calls! In this episode we focus on your written questions, of course your calls & our take on the GPD pocket which is now shipping with LINUX! We dive into the Google memo that went viral, talk answer some of your email and Facebook questions & of course your calls! Brandon from RedHat joins us to talk about oVirt & how you can manage your virtual infrastructure from a web console. Plus we break down the advantages and disadvantages of Android v IOS, your calls & more! Jason from GitLabs kicks off this hour of the Ask Noah Show, we talk about how to recover in Linux where Windows can't & why Ubuntu Mate might be the best Linux distro out there! Steve from RedHat kicks off this hour with a howto on Ansible. We also take your calls and in them talk to Peter from London & pick his brain about switching people to Linux. 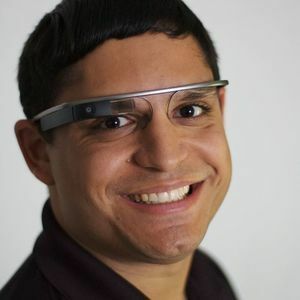 Plus some Google Glass news! We talk about Fedora 26 and it's new project "Fleet Commander" plus some follow up on libvirt, proxmox & of course your calls. We chat with Ryan from System76 about their new operating system Pop_OS!. Plus a bit of virtualization on linux & of course, your calls! We kick off with a bit of America, talk about System76's Pop!_OS as well as Lenovo's new “Retro ThinkPad” & of course take your calls. We dive into some really cool technology, talk about the latest Yubikey venture & Veronica Belmont joins us for a segment to talk about her upcoming show, IRLPodcast. Plus your calls! This week we're back in Grand Forks and we give you a deep dive on TAILS linux - the distro designed from the ground up to provide you with a secure computing environment. Plus we talk about universal installers, the security of messengers & your calls. 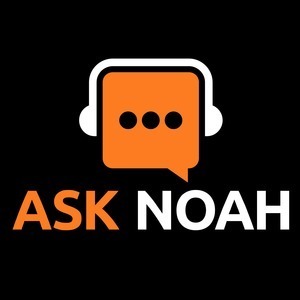 This week we're live from Cincinnati Public Radio to bring a very controversial episode of the Ask Noah Show. We sit down with Paul M. Jones & he tells us why some codes of conduct are a bad idea. We take your calls, plus we we look to see if Linux security is flawed.